I hope to provide our clients with practical yet unique solutions for their water resource management issues. Access to clean water is only going to become more critical, and we need to be proactively managing it now. Laura knows water. As a staff hydrogeologist on our water resources team, Laura helps our clients manage and protect important aspects of their water supply. She plans and conducts well assessments and well rehabilitation, supports aquifer storage and recharge projects and performs environmental site characterization. Over her career, Laura’s gained experience throughout the major watersheds of the Pacific Northwest. Early in her environmental consulting career, Laura focused on characterizing pre-dredge sediments and performing remedial investigations. But when she had the chance to focus on water resources work, she jumped at the opportunity. Although Laura still supports environmental investigations, her passion is water issues. 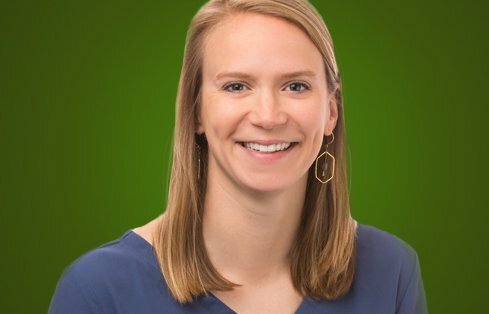 Laura is committed to finding new and better ways to manage water for the sake of our clients and our communities; whether through artificial recharge, riverbank infiltration, aquifer storage and recovery or thermal storage. When she’s not thinking about managing water, Laura takes on the challenge of reffing high school girls’ lacrosse in the Portland metro area. In the summer she enjoys working in the yard or hiking with her dog, Ore, who sounds like a cute little nugget.